After months of hinting that British Columbia's Medical Services Plan could be revamped, Finance Minister Mike de Jong has revealed the biggest change to health premiums to date. 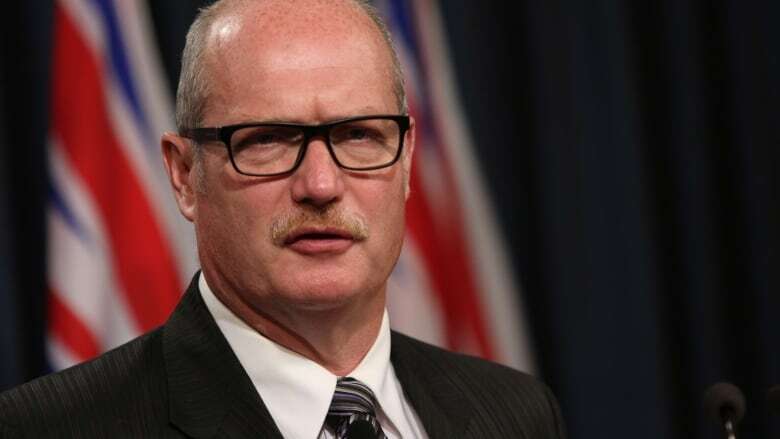 After months of hinting that British Columbia's Medical Services Plan could be revamped, provincial Finance Minister Mike de Jong has revealed the biggest change to health premiums to date. As part of its 2017 budget, the Liberal government announced approximately two million British Columbians will have their monthly Medical Services Plan (MSP) premiums cut in half starting Jan. 1, 2018. Of that number, one million British Columbians who currently have their premiums paid for by their employer or are part of a group plan will also qualify for the break. The MSP break will apply to those with an annual family net income between $29,000 and $120,000, but the reduction won't be automatic. MSP payers will have to fill out an online form to qualify for the reduction. "For a family paying full premiums, this represents a saving of $900 per year," de Jong said in his budget speech. "Our objective over time is to completely eliminate MSP as an expense for British Columbians … the timings and structure of that next step will depend on the province's fiscal capacity in the future." Once the reduction is implemented, the government calculates the cut will cost the government $810 million in 2018-19 compared to 2016-17. If premiums were eliminated entirely, the estimated loss to government would be about $2 billion a year. The MSP premium reduction is the broadest form of financial relief in British Columbia's fifth consecutive balanced budget presented in the provincial legislature on Tuesday. The next provincial election is set for May 9, 2017. Iglika Ivanova from the Canadian Centre for Policy Alternatives said even with the reductions the MSP premium remains unfair. "It is still the case that if you are a family making $52,000, you are paying more of a share of your income than if you are a family of two doctors making $300,000," said Ivanova. "I would like to see it completely eliminated and replaced by a fairer tax." The government is projecting an overall surplus of $295 million for the 2017-18 fiscal year. British Columbia and Quebec are the only two provinces in Canada that have posted surpluses in the past few years. Small businesses are also getting a boost from the budget. The province plans to eliminate PST on electricity by April 2019 and cut it by 50 per cent as of Oct. 1, 2017. On top of that, the small business corporate income tax rate is being reduced to two per cent from 2.5 per cent. Tax cuts aren't the only thing the government promised in the budget: over the next three years the province is planning to spend $3 billion in education on children and families, as well as support for first-time home buyers. The government is painting this budget as one that will give back to British Columbians as the economy continues to grow. De Jong said one indicator of B.C. 's strong economy is increased consumer spending. Provincial numbers show retail sales are up for all major sectors, including clothing sales up 8.9 per cent, building materials and garden equipment up 13.8 per cent and sales at health and personal care stores up 12.4 per cent in the last year. "We are proud of the fact that B.C. has led Canada. Our balance sheet is the envy of the nation and our economic performance is the envy of the nation," said de Jong. "We have sought to ensure that British Columbians realize the benefits of that because they are the ones that made it happen."